Ernesto Perez Carrillo has been the source of some massively popular blends over the course of the last few years. From the work he does with his company EP Carrillo to the blends he created with the guys over at Crowned Heads it seems everything he touches turns to gold. Each year EP Carrillo has released a limited or short run series since creating EP Carrillo cigars. 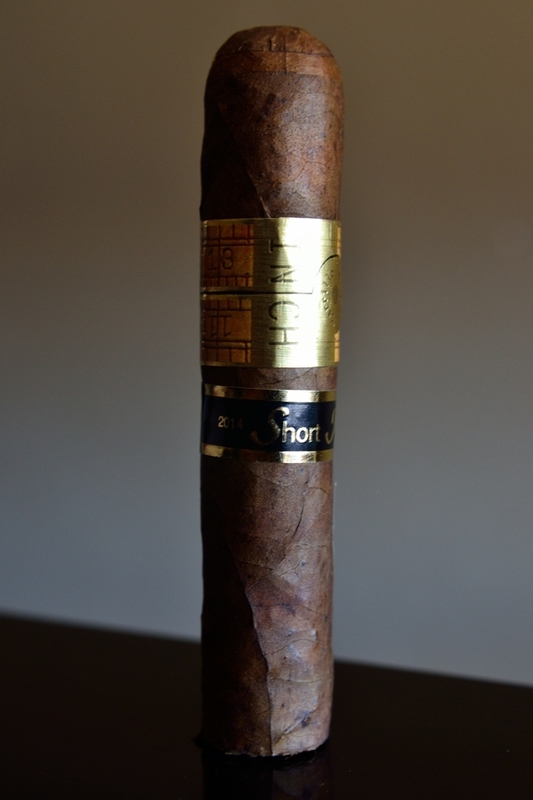 A few of those limited runs that we have reviewed are the Edicion Inagural 2009, 2010 Short Run, 2010 Short run No. 4, and the 2012 Short Run. Doing something a little different they decided to produce the 2014 Short Run as a spinoff of the popular Inch series. Where as many of the other Short Run series only came in one format, the 2014 Inch short run will come in 3, The 60: 5 7/8 x 60, The 62: 5 x 62, and the 64: 6 1/4 x 64. They will come in boxes of 24 with a total of 1,500 boxes of each size produced. Big thanks to the EPC team for sending the samples used for this review my way. Prelight: Man this sucker is huge. I am not one for larger ring gauged cigars. The cigar feels really heavy and really wonky in my hand. I can’t even fathom how uncomfortable the 64 might be. Outside of the size the Inch Short Run carries an absolutely beautiful, thick, medium brown wrapper with a few dark splotches scattered throughout the body. This cigar carries a bit of tooth and a whole mess of oil. 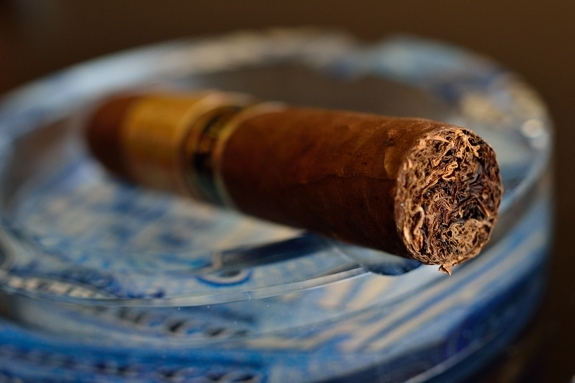 The wrapper gives off nothing more than a slight cedar aroma while the foot of the cigar carries only some light tobacco and a bit of spice. The Inch Short Run is polished off with the standard Inch band that I love so much and the addition of a secondary black and gold 2014 Short Run band. Flavors: I was greeted with a very mild black pepper as I lit up the Inch Short Run. The pepper faded rather quickly and there was a mild cedar, earthiness, and slight spice underneath. As I continued to smoke the inch the spice started to drop out and I was left with nothing but some mild cedar and earthiness mixed in with tobacco. I know it may sound a bit generic, but as much as I tried to reach I couldn’t pick up much more than that until the final “inch” where a bit of harshness began to move in. It wasn’t bad, I just wish there was more to it. Burn/Draw: This is one area the Inch Short Run really excelled. The burn line was razor sharp, and dead even the entire experience. Usually, I have issues early in with wavy burn lines with larger ring gauged cigars, but this burned absolutely flawless from start to finish. The ash was very solid and held on for about two inches before falling into my ashtray with a “clunk”. The draw was beautiful. Each little puff filled my mouth with thick, white smoke. 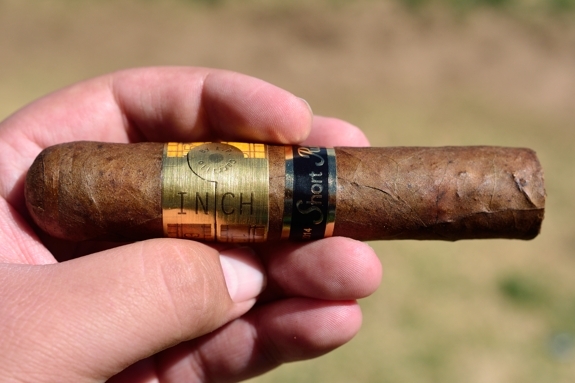 Thoughts: Needless to say, I wasn’t blown away by the Inch Short Run 2014. 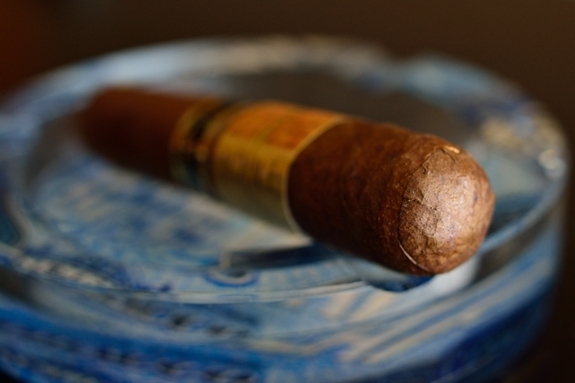 The construction, burn, and draw were all remarkable and that what really makes for a great cigar. On the more subjective side this cigar really failed to deliver in the flavor arena. The flavors were muffled, bland, and pretty one dimensional. To put a spin on that, this cigar may be a great stick for someone who enjoys very mild experiences while I don’t see myself adding any more of these to my current rotation. Bummer. I guess everyone is entitled to a swing and miss every now and then, and EPC has had a ton of hits, but the size alone probably would have kept me away from this one anyway. I still enjoyed the review and pics, though. My thoughts exactly. I wasn’t impressed by any cigar in the Inch series. Every other cigar in the EP Carrillo portfolio is a different story. Most of the Short Run series are great. 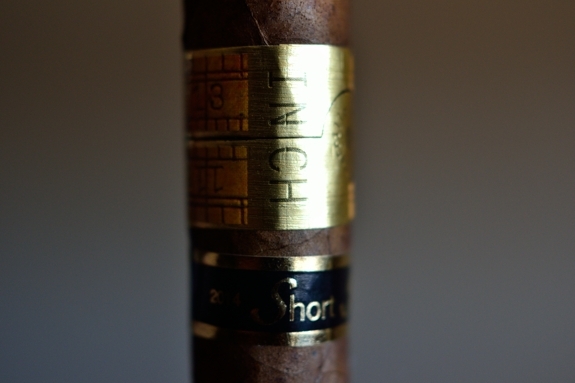 The format of the Inch cigars just turns me off. I wasn’t too fond of the flavor profile either.